Elaine's Creative Musings: Happy Easter! that it only punches out on one side, and leaves the opposite end unpunched. 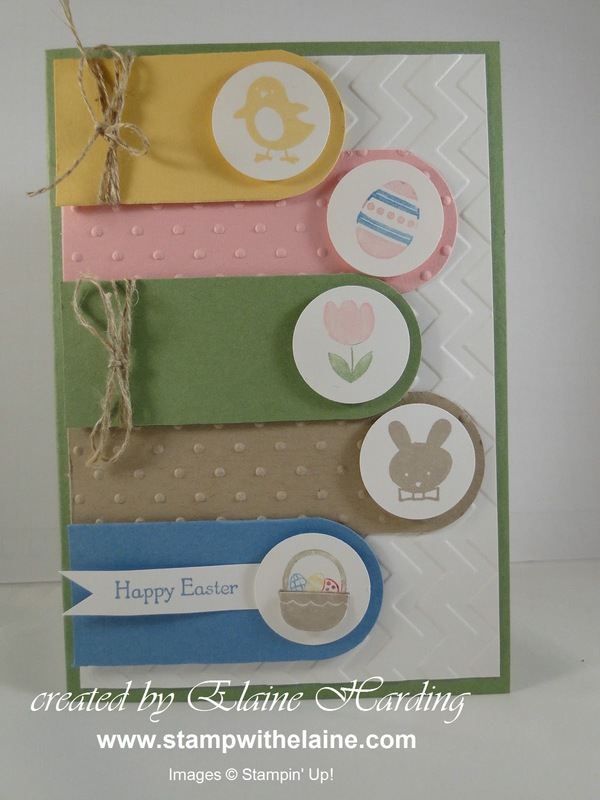 I made a smaller version of these last easter which you can see here. The ones above are for my grandsons who are staying with us at the moment. There are so many different ways to do them - mine has the centre panel cut in a triangular shape and the corresponding pieces on the left and right hand side are alternated and glued so that they are spaced evenly. A 1 3/4" circle folded in half is glued on top where all the points meet. The handles are 1" x 10" and have been inserted through one end of the circle punch to round off the corners so that they align with the semi-circle inside the box giving a neat finish. 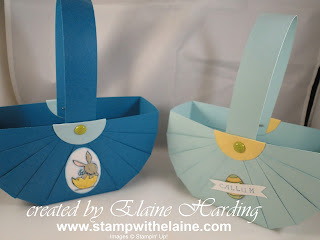 They were personalised with a name tag and I stamped the images in Black Stazon and water coloured the images from the Everybunny stamp set (ACp25). We had a family get together yesterday and here's my attempt at Mary Berry's easter pavlova - it's half the recipe - which is just as well as I didn't have a dish big enough for a 10" one. The proof is in the eating - no leftovers! The other half has been saved for today. 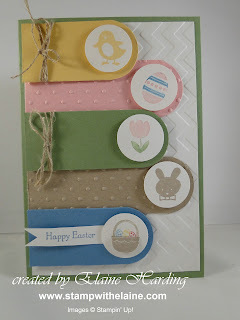 This will be short and sweet as the easter bunny has to make his rounds but I will be back tomorrow for a Spring/Summer Blog Hop with some of the Inspiring Inkin' team, so pop back and see us! Only 3 weeks left of Sale-A-Bration!